LUCE DI FOGLIE Filigree earrings with ambers. Gold 18K. 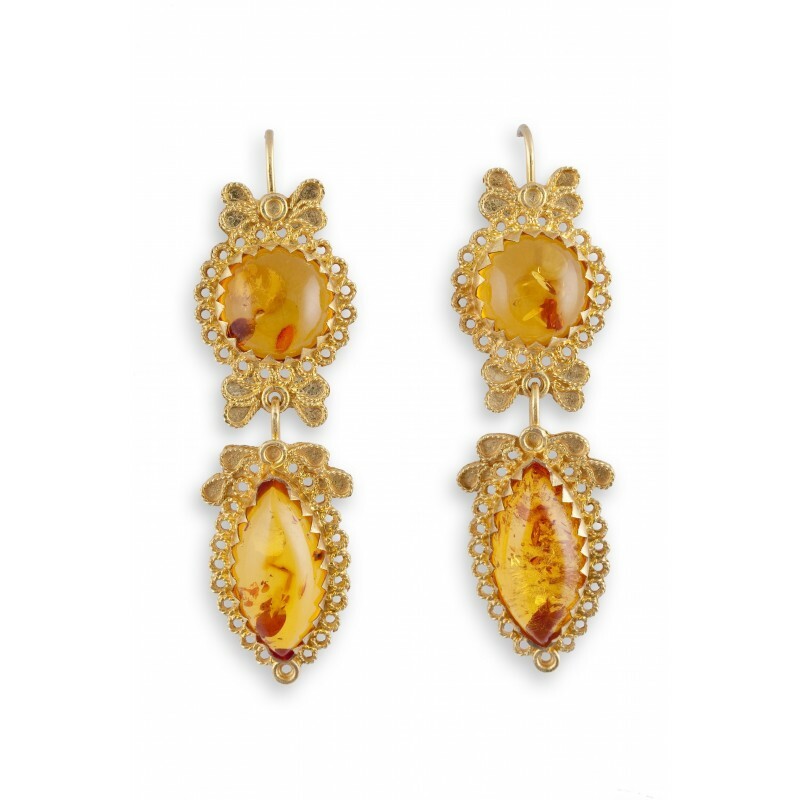 > 18K gold earrings "LUCE DI FOGLIE"
Filigree earrings with amber. Gold 18K. These filigree earrings are soldered onto a gold plate and the Ambers inset. Gold Ambers earrings with micro pearls. The Spinals are threaded with a technique that include curling, twisting and plaiting fine pliable threads of metal, and uniting them at their points of contact with each other and onto a gold plate.